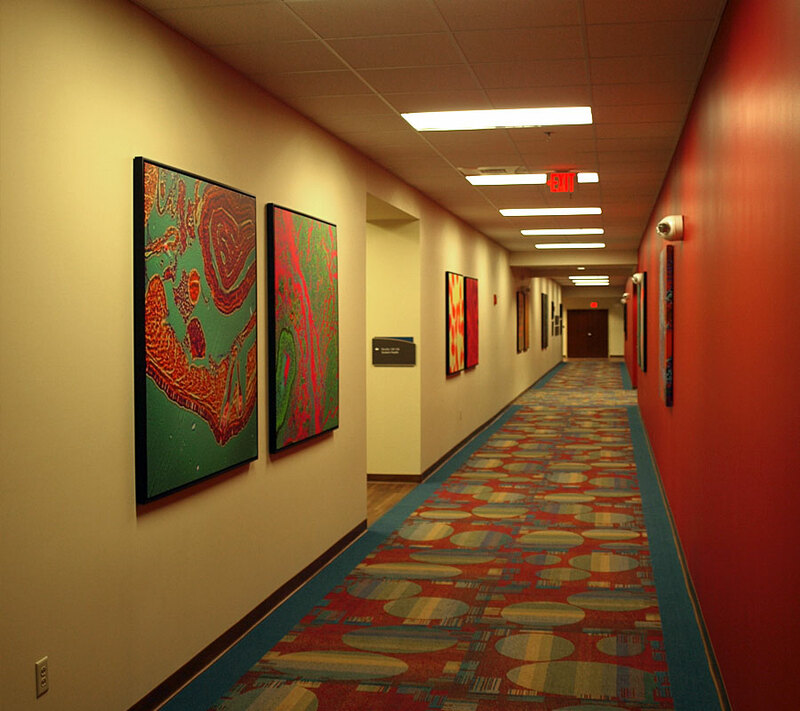 Centra Health hired Interior Creations to provide full interior design services for the renovation of an old Roses building which became home to Centra's College of Nursing. 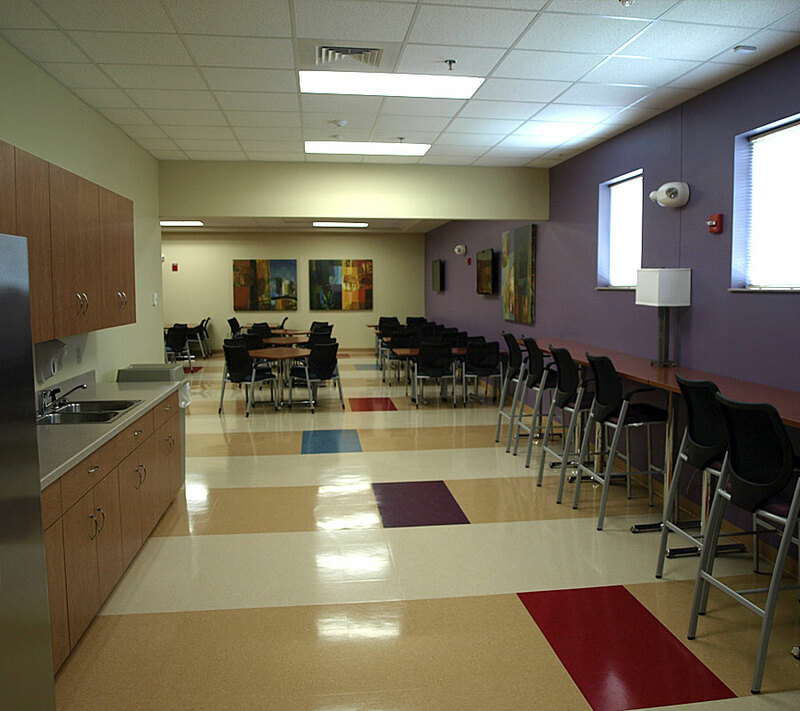 It houses large classroom space, skilled nursing rooms, LPN rooms, conference, cafeteria and administrative space. 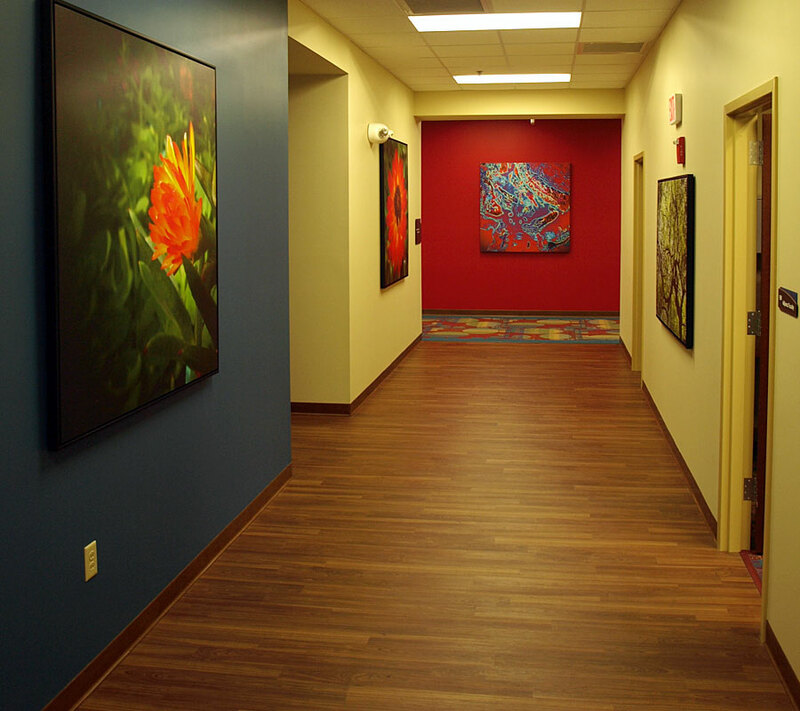 The interior was designed with large punches of color to keep the spaces energized. 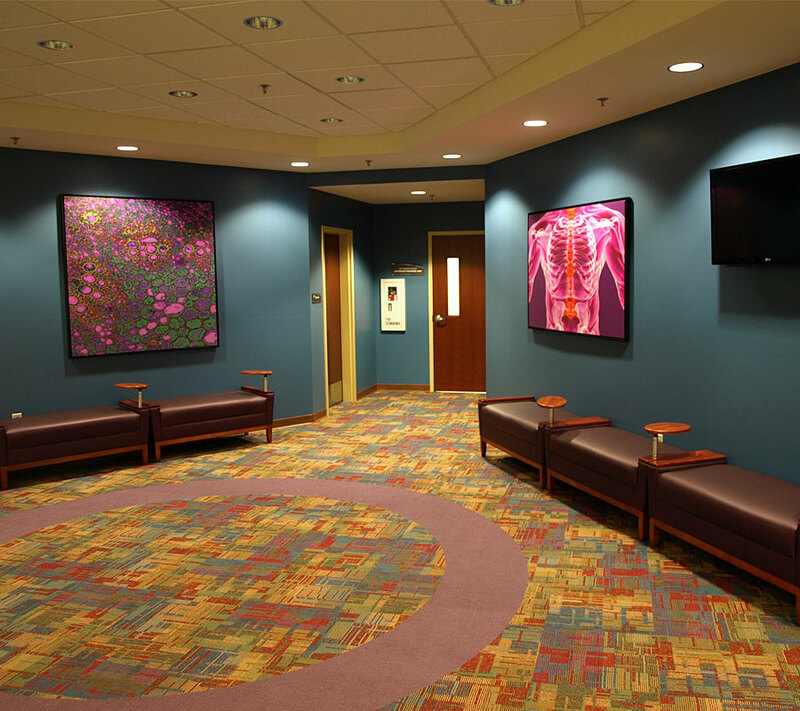 Large artwork of medical images hang on the walls for it’s medical instruction and color. 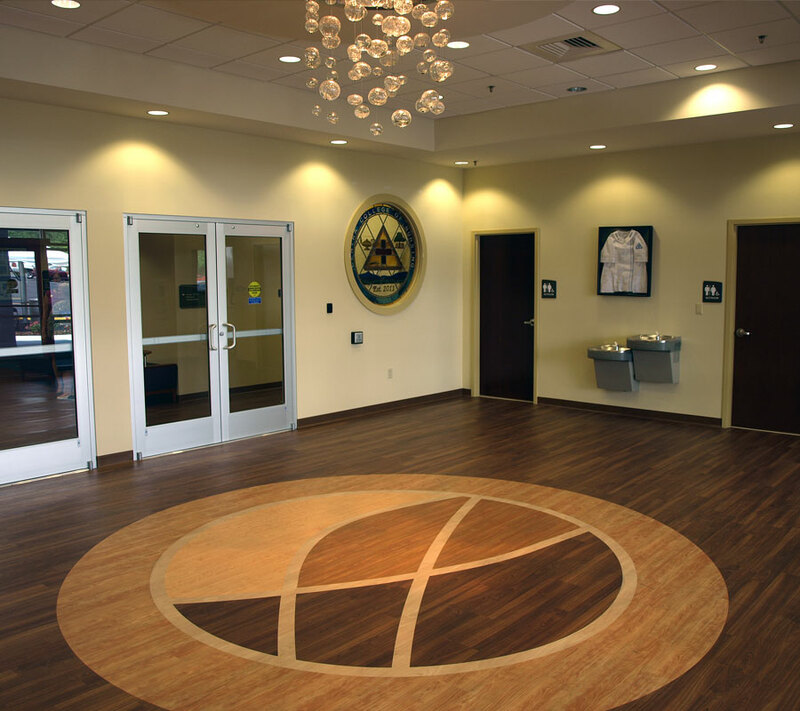 The lobby space is designed with Centra’s logo with custom lighting above. A stain glass window was custom designed with Centra’s nursing pin.